A special announcement for c9.io customers. Read here. 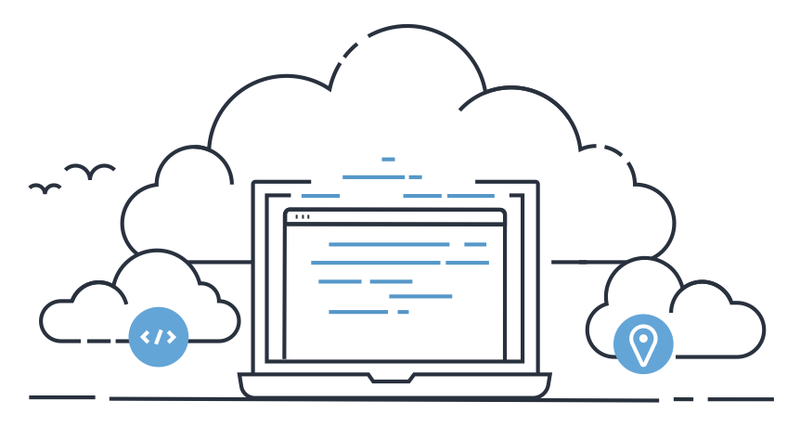 AWS Cloud9 gives you the flexibility to run your development environment on a managed Amazon EC2 instance or any existing Linux server that supports SSH. This means that you can write, run, and debug applications with just a browser, without needing to install or maintain a local IDE. 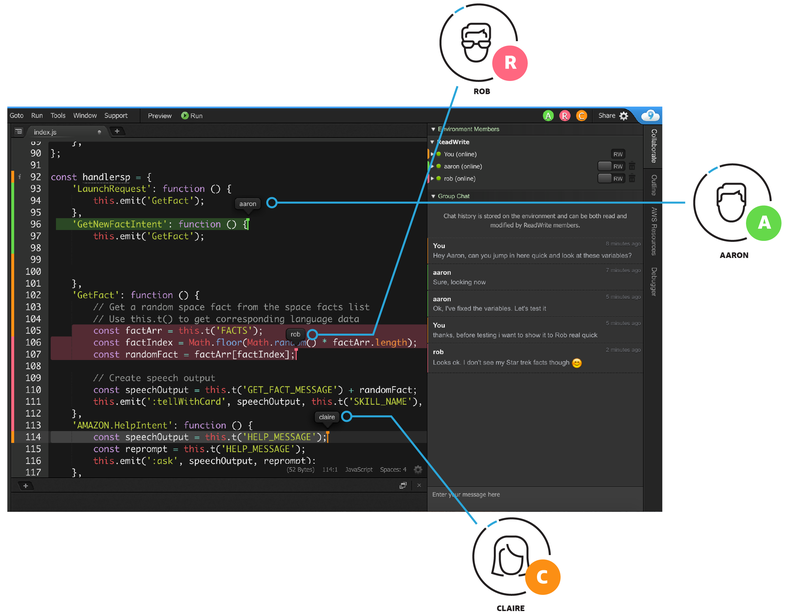 The Cloud9 code editor and integrated debugger include helpful, time-saving features such as code hinting, code completion, and step-through debugging. The Cloud9 terminal provides a browser-based shell experience enabling you to install additional software, do a git push, or enter commands. 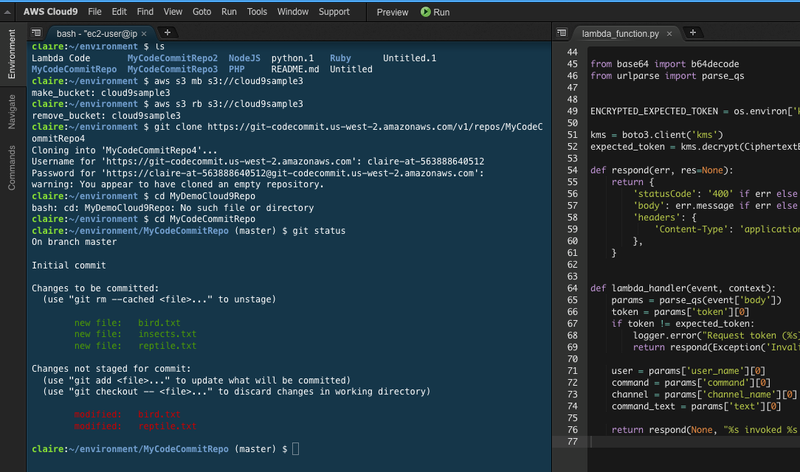 AWS Cloud9 makes collaborating on code easy. You can share your development environment with your team in just a few clicks and pair program together. While collaborating, your team members can see each other type in real time, and instantly chat with one another from within the IDE. AWS Cloud9 makes it easy to write, run, and debug serverless applications. 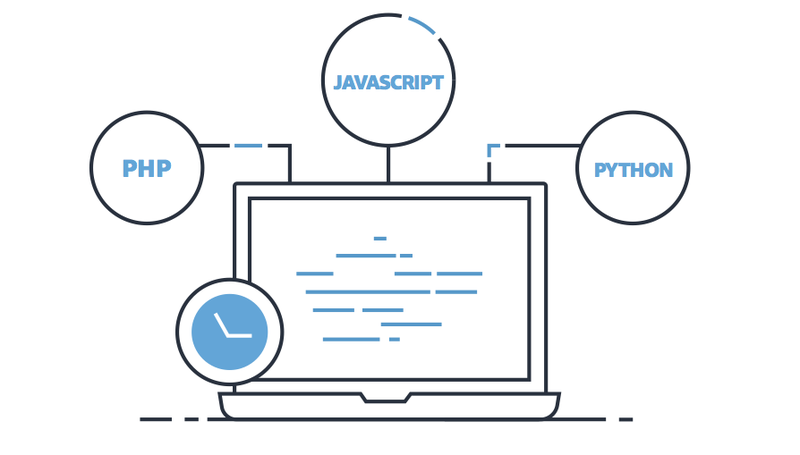 It preconfigures the development environment with all the SDKs, libraries, and plug-ins needed for serverless development. 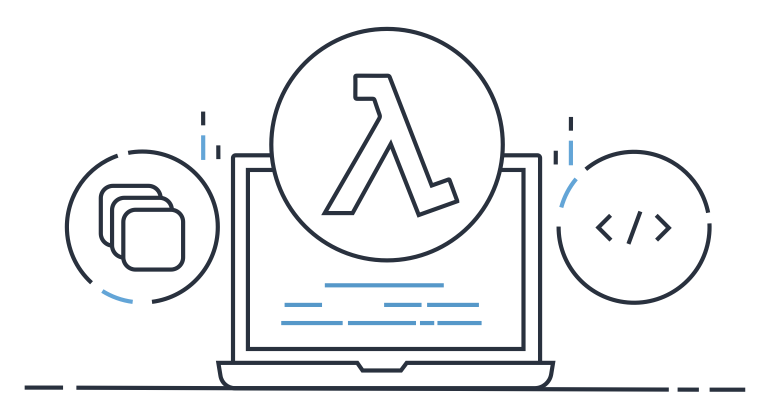 Cloud9 also provides an environment for locally testing and debugging AWS Lambda functions. 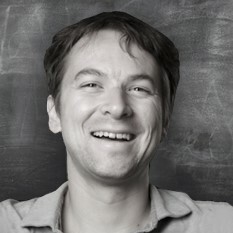 This allows you to iterate on your code directly, saving you time and improving the quality of your code. AWS Cloud9 comes with a terminal that includes sudo privileges to the managed Amazon EC2 instance that is hosting your development environment and a preauthenticated AWS Command Line Interface. This makes it easy for you to quickly run commands and directly access AWS services. 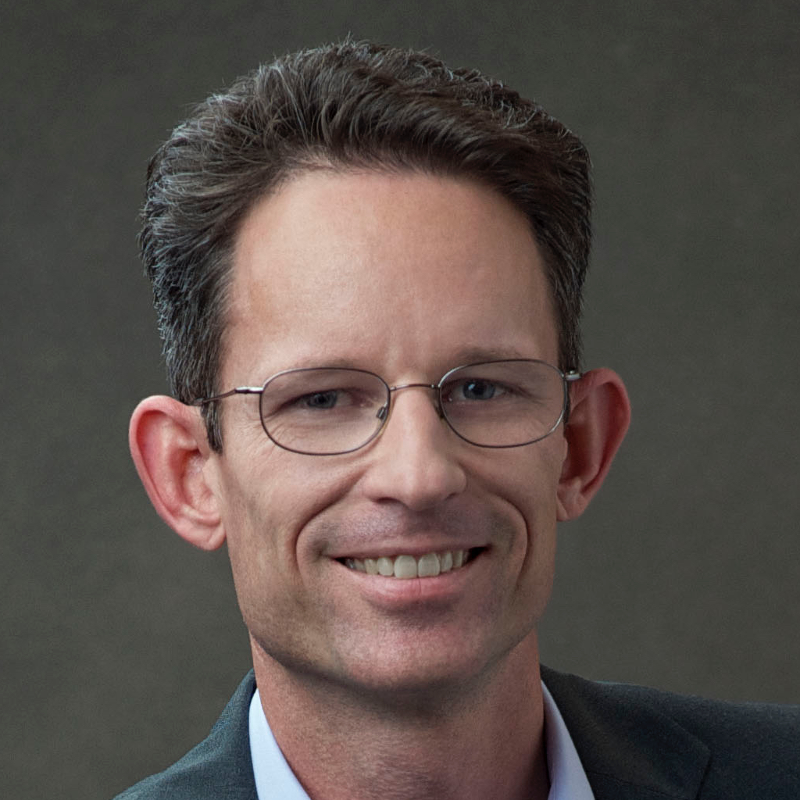 Webinar: Overview of the AWS Cloud9 IDE, including a demo of key features.